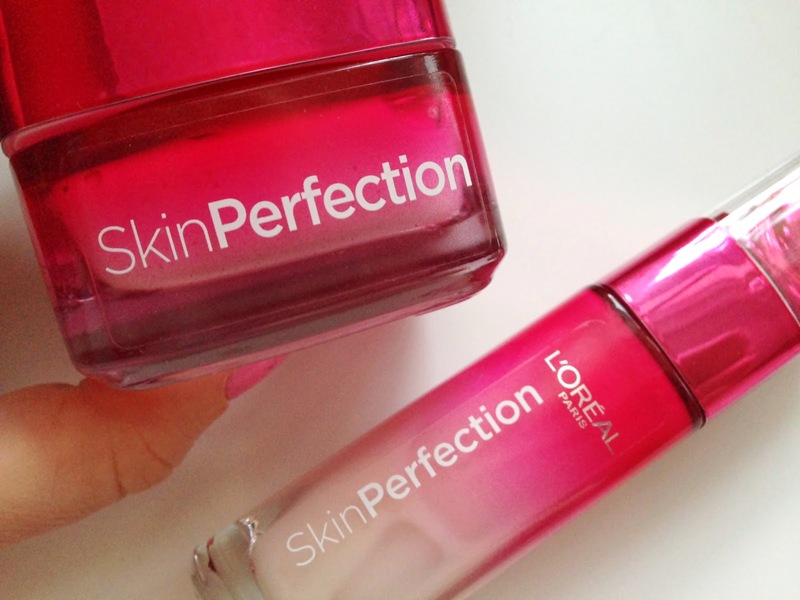 When L'Oréal launched their Skin Perfection range with products aimed at people in their 20s and 30s, I was really excited to try some of their products. I decided to purchase the Correcting Day Moisturiser and the Advanced Serum. These products claim to refine skin texture, even out skin tone, reduce the appearance of enlarged pores and brighten our complexion. Of course these claims are rather ambiguous but I have to say I agree with almost everything that they say they do. After using the Correction Day Moisturiser in the morning and the Advanced Serum in the evening for around 6 weeks, my skin feels quite good. The products haven't broken me out and my skin feels quite soft and smooth. The moisturiser itself comes in a good sized 50ml tube and retails for €14,95 in Germany, £14,99 in the UK and $22.31 in the US. 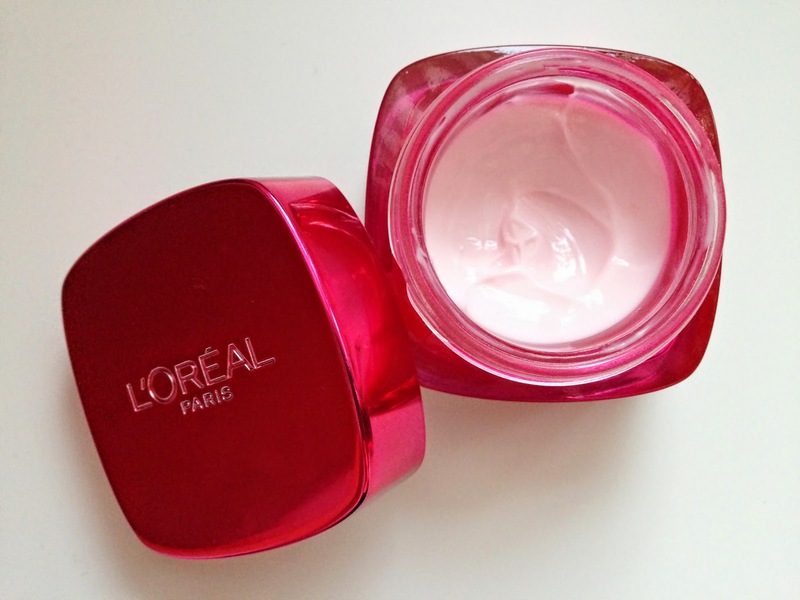 The texture feels quite rich but when you apply it to your face it is so lightweight and sinks in very quickly. It doesn't clog your pores and is not greasy at all. It just feels very luxurious which is kind of one thing I look for in moisturisers. The other thing I really like about it is that it kind of gives you like a radiance about your face. I feel that my skin doesn't look dull like it used to and the product definitely reduced the redness around my nose and cheeks. The only thing I can't really comment on is whether or not it reduced the appearance of enlarged pores. My pores are relatively small and I couldn't see much of a difference. But I have talked to a few of my friends who use the products as well and have enlarged pores and they said that it definitely reduces the appearance of them. Now onto the Serum. It comes in a 30ml tube and retails for €16,95 in Germany, £16,99 in the UK and $25,29 in the US. The texture feels very rich and when you apply it, it is quite heavy and moisturising and a little goes a long way. It takes a few minutes to sink in but once it has it's not greasy as well. I really like how this product makes my skin feel. It immediately feels like it's working. I have to say, I'm amazed by the results. This sounds promising, much cheaper then high end cult skin care, however I'm rather worried about the harsh chemicals that may be in it? Sorry for the late reply. The formula of both, the serum and the moisturiser, is non-comedogenic and therefore appropriate for all skin types, however the serum is alcohol based and quite heavily scented which might irritate sensetive skin.